Bayerische MotorenWerke came into being in 1916 through a merger between Rapp Motorenwerke and Gustav Otto Flugmaschinenfabrik. They began to produce aircraft engines and then moved on to motorcycle engines but didn’t go into car production until 1928. After the hostilities had ended production resumed in 1952 with the 501, later models included the 502 and 507 but production was low and during the fifties recovery from the ravages of war was slow. In 1959 BMW had bankruptcy looming over them and had to come up with a car that could be sold in quantity to bring in some needed revenue. Again going back to building a car under licence they chose the Italian Isetta. A small runabout it ws produced from 1955 to 1962 and had some success helping the company to stay in business over this period. During this same period in 1959 BMW started production of another little car called the 700 with just 2 cylinders and a Michelotti designed body it was a great success and over 180,000 where built until 1965. The biggest impact for BMW came when they brought out the 1500 in 1962, the range consisted of 4 door (1800 – 2000) and 2 door (1602 – 2002) saloons. BMW have moved on with their basic 3 models to become one of the most prestigious car manufacturers today, they have gone through many changes as a company havng at times owned Rover before selling it to a company formed by the Rover management team, and Land Rover before selling to Ford but not before getting some ideas for the BMW X5 off roader. 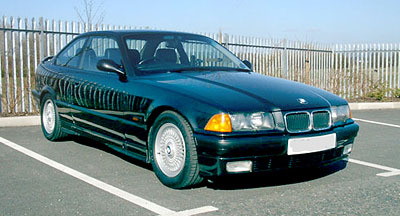 The factory car stereos in BMWs have steadily improved over the years and they now offer high fidelity audio systems. Some people prefer to use marine stereo systems in their convertible models just in case they get caught in a sudden rain storm or other inclement weather. The quality of boat marine speakers has improved dramatically as well, making them an excellent choice when one is worried about potential water intrusion. BMW have been adding to their range with special models such as the popular Z3. They have also competed favourably in all major motorsport arenas including Formula 1. Their expertise and knowledge has been brought to the public road in their M (Motorsport) series of vehicles denoted by the famous ‘M’ badge on their most special road cars like the M3 and the M5. These cars are usually tested against some of the best sports cars in the world including Porsche. Born in Richmond, Surrey in 1928, Colin Chapman was the talented engineer who founded the Lotus marque. In 1945, the 17year old Chapman entered University College, London to study engineering. Around the same time he and fellow student Colin Dare started a part-time car sales business. Demand was high soon after the Second World War and the business flourished – at least until late in 1947 when petrol rationing ceased. Chapman and Dare were left with a pile of stock which had to be disposed, mostly for less than cost. However, one car remained, a 1930 Austin Seven registered PK 3493. With no demand for such a car Chapman decided to turn the car into a “special” by removing the fabric bodywork and completely dismantling it. This was a common practice amongst young car enthusiasts around this time, the body work of such cars often having all but disintegrated, whilst the mechanical components remained serviceable. design owed much to aviation construction principles. By 1948, the car was complete. Not only did it bear the registration OX 9292 but also the name Lotus, Chapman’s nickname for his girlfriend (later to become his wife) “my little Lotus Blossom”. Also in keeping with the time, Chapman entered the car into competition trial events, in between which the car was continually modified. Time for the second Lotus, which Chapman also based on an Austin Seven and completed in 1949. 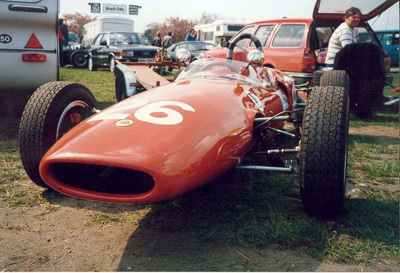 By 1951 however, Chapman’s attention was drawn to the 750cc Formula racing and he decided he could produce a track car. Both Lotus Mark 1 and 2 were sold and Chapman started from scratch with another Austin Seven. It was at this point that Chapman began a fruitful association with Michael and Nigel Allen, two brothers who were 750cc fans. 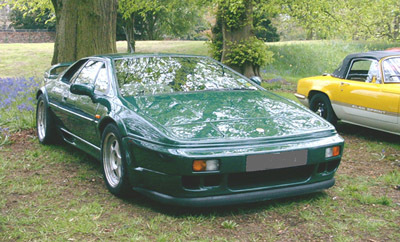 Thus construction of two Lotus Mark Three’s began in the brothers well-equipped workshop. The new lightweight design sported an aluminium body and also a protective under shield. The engine’s inlet manifolding and ports were divided to improve aspiration. The new car’s first event was at the Castle Combe circuit in May 1951, Chapman taking first place and lapping everyone bar the second placed car. By the end of the season Chapman had a series of successes under his belt in what was then the most competitive 750cc racing car in the country. Naturally, fellow competitors wanted copies of this incredible car and Chapman realised the potential for manufacture. In partnership with Michael and Nigel Allen the business became the Lotus Engineering Company on 1 January 1952 and construction of the Lotus Mark Four began. Founded in Blackpool, England in 1922 by two motorcycle enthusiasts named William Lyons and William Walmsley, originally named the Swallow Sidecar Company, to produce motorcycle sidecars. However in 1926 the company began building the Austin Seven, a small car. The name of the company then changed to the Sparrow Sidecar and Coach building Company, and began making custom car bodies for Morris, Fiat, Wolseley and Standard. Manufactured in 1931 the company’s first car the SS1 was based on a Standard six cylinder engine and a modified Standard chassis. They also produced a SS2 model which had a smaller four cylinder engine. The company was changed to SS Cars Ltd in 1933 and Lyons became the Managing Director, with Lyons buying his partner Walmsley out in 1936. During the war the Swallow Sidecar plant was turned over to the war effort and after the war the companies name was changed to Jaguar Cars Ltd and production was resumed. Jaguar XJ40In 1946 the company developed the XK120 which was fitted with a six cylinder 3442 cc OHC engine. This was followed by the XK120 Roadster, which had an alleged top speed of 120mph, superb road holding, styling and a smooth ride. In 1951 the XK120 Fixed head Coupe was introduced, with a better trimmed interior and wind-up windows. Jaguar introduced the XK140 in 1954, and the MK1 in 1955 with the MKII released in 1959 with a larger glass area and a new dash. 1961 saw the launch of the Jaguar E-Type, probably the best know of all Jaguars with over 74,000 cars being sold between 1961 and 1975. The E-type is still held up as an icon of the 60’s and even now the car is still sought after by enthusiasts and collectors. During the late 1960’s, early 1970’s – Jaguar merged with the British Motor Corporation Ltd which then merged with Leyland to form British Leyland and around this time Jaguar released the XJ-S. The 1990’s brought back an air of prosperity back to Jaguar with releases of models such as the XJ220, which boasted a top speed of 220mph and a 0-60 time of between 3.6 to 3.9 seconds from a V6 twin turbo charged 3.5 litre engine producing 542bhp @ 7000rpm. Founded in 1913 by Lionel Martin and Robert Bamford with their first Aston Martin car registered in 1915. During the early 1920 the Bamford & Martin cars competed in the French Grand Prix and broke world speed and endurance records at Brook lands. The company went bankrupt in 1924 and was bought a Lady Charnwood, however the company failed again in 1925 and by 1926 Lionel Martin had left and the factory was closed. In 1926 a number of investors took control of the Bamford & Martin company and renamed it to Aston Martin Motors Limited with premises in Feltham. Financial problems where to re-appear in 1932 with the company being rescued by L. Prideaux Brune, this followed with the company passing to Sir Arthur Sutherland in 1933 with production now being focused on road cars. During the war years the Aston Martin plant was turned over to production of aircraft components. In 1947, David Brown Limited bought the company run by Sir David Brown, the same year the David Brown Company also acquired Lagonda which enabled the Aston Martin and Lagonda company to share resources. In 1955 the company also acquired the coach building company of Tickford of Newport Pagnell, to where production is moved. The DB series of cars begins production in 1952 with the DB2/4 going into production in 1953. The DB3 goes into production in 1957 and the Italian styled DB4 in 1958. Later models where the DB5 (1963), DB6 (1965-70) the DBS and DBS V8, renamed the Vantage (1967-72). Aston Martins financial history has been somewhat chequered in the past with numerous owners until the Ford Motor Company took overall control in 1993. Ford invested substantially in Aston Martin opening a new factory in Bloxham. Production rose dramatically during the period 1995 – 2002 with the DB7 and V12 Vantage range. 2003 saw the introduction of the DB9 and a year later the DB9 Volante. 2003 also saw the return of Aston Martin to motor racing with a new division to the company called Aston Martin Racing, who with Prodrive produced the DBR9. Winning its class in the Sebring 12 hour race and a fourth overall. The interior remains as produced in the 944 with the famous ‘oval dash’. The same robust materials have been used which have given all Porsche owners many years of trouble free motoring. The door mirrors have been streamlined with the tear drop effect and the wheels are 5 spoke Cup design alloys as with the 911(964) and 928 GTS. 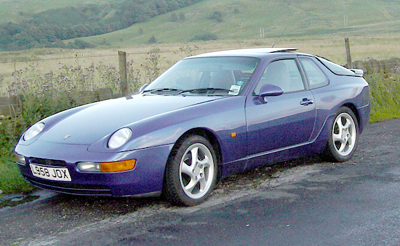 As with the Porsche 928 there is a ‘bee sting’ aerial mounted on the roof. The rear bumper is now almost indistinguishable from the bodywork, being more blended and with integral rear light clusters, at the rear we also find the spoiler is the bridge type.. 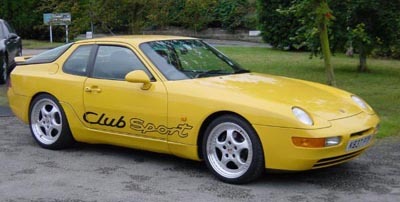 The chassis is a delight with it’s near perfect weight distribution and very stiff characteristics helped by the torque tube connecting the engine to the gearbox also some 911 components have been used in it’s production. Porsche brakes have always been the envy of most road sports car manufacturers, as this is usually where most road sports cars start to fail, no matter how fast they are in a straight line if you can’t take a bend at the right safe speed then you can’t use the cars speed. 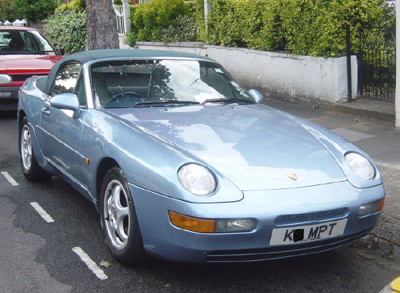 The Porsche 968 has carried forward this important philosophy with little or no discernable fatigue even under harsh use. Self ventillating discs, open ventillation alloy wheels and a study of the air flow around the discs contribute to more than adequate cooling and so minimal fatigue and break fade. ABS adds even more safety to the already excellent braking system. The wheels themselves are designed to prevent the tyre coming off the rim in the event of a sudden pressure loss at speed. The Autocar & Accessories Car company was started by John Weller in 1901 with financial backing from John Portwine a wealth South London tradesman. In 1904, the first vehicle they produced was a 5.6hp air cooled single cylinder tricycle delivery vehicle known as the Autocarrier. A passenger carrying version was made in 1907 which was called the Sociable with production running until 1915. The name AC was used for the first time and the company became known as Autocarriers Limited. By 1928 there where seven models on offer from a two seater coupe to a coachbuilt saloon, but by 1929 the company had gone into voluntary liquidation due to worldwide recession. The right to use the AC Car Company name was purchased in 1930 by brothers William & Charles Hurlock, producing hand-built cars. During the 1930’s AC cars had good results in the RAC and Monte-carlo rallies as well as an outright win in the 1933 RAC rally, driven by Miss Kitty Brunel. By 1953 the AC Ace, an open top two-seater sports car had gained notoriety as a tough car which could be used on a daily basis and then raced or rallied at weekends. In 1961 talks where undertaken with Texas racing driver, Carroll Shelby (http://www.carrollshelby.com/) with backing from Ford, proposing installation of Ford V8 engines in to the light weight chassis of the AC Ace which resulted in the AC Cobra. Some say the resulting Cobra is the reason the Uk has a 70mph speed limit as in 1963 a coupe version of the car was recorded at 185mph on the M1. The following year a 70mph limit was introduced on all British Motorways. 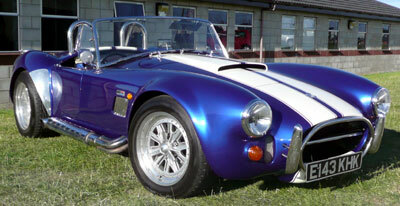 The guiness book of records also listed the Cobra as the fastest production car in the world. In June 1963 the Cobra was entered in Le Mans 24 hours race and finishing 7th Overall behind 6 Ferraris. Never the less in 1964 the Cobra is Fourth overall and first in the GT Class, defeating Ferrari. During the 1970s to early 1980s AC developed the AC ME3000 a mid engined V6 3 litre car. 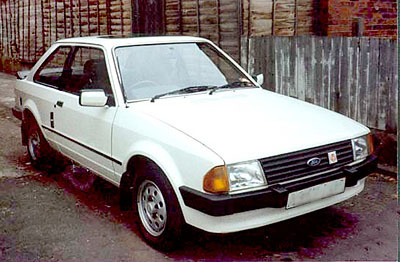 AC Cars was sold by the Hurlock family in 1986 to the Ford Motor Company. 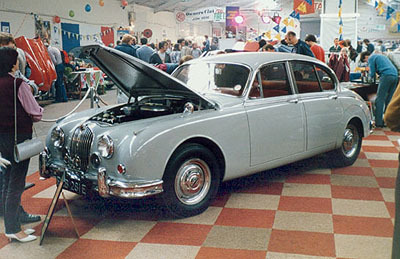 AC is noted as the oldest car manufacturer in the UK.